The children have enjoyed the fabulous summer weather that has continued throughout this week. 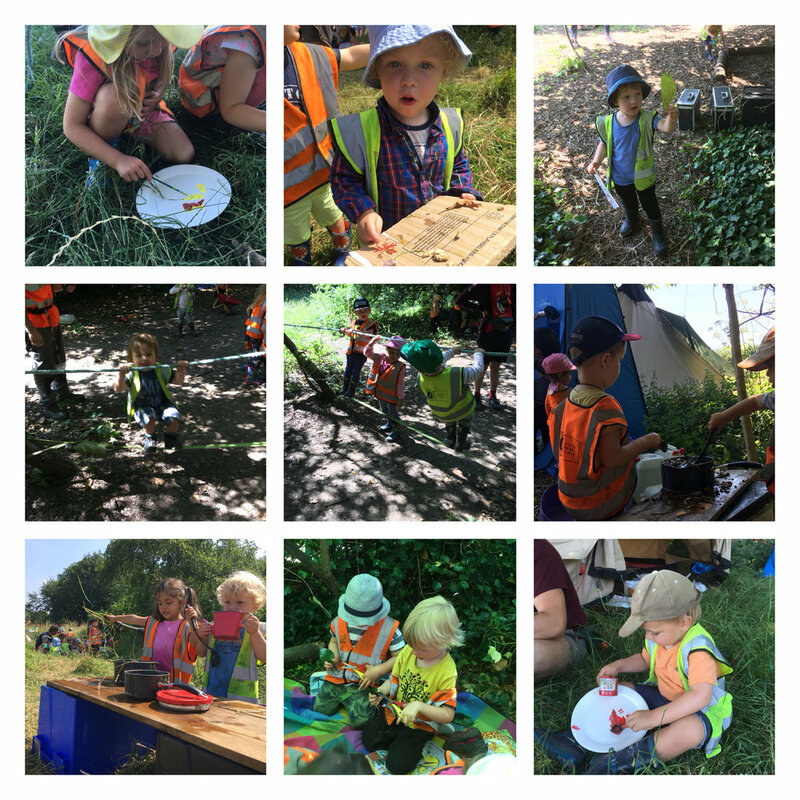 They have walked through the meadows, along the river and through the woodland areas exploring different habitats and engaging in some brilliant group projects. Through these projects we have seen amazing cooperation, generosity and collaboration as the children worked together to achieve a shared goal. One project involved some of our youngest children who wanted to build a dinosaur skeleton. They spent a long time collecting different sticks and arranging them to look like a dinosaur. They used a book and pictures of dinosaurs to help plan out where the sticks should go. There was a fantastic moment when two children were deciding on where the tail should go. Both children had very different ideas about the tails perfect location. Unable to resolve their dispute verbally they independently went over to the picture of the dinosaur and made comparisons with their structure. After another small discussion they came to an agreement and both smiled as they put the tail in place. It was wonderful to see such productive communication and language! Another project involved fourteen children who worked in pairs to carry the planks to a woodland area. Once there they started to roll logs that they found on the forest floor and balanced the planks to make see saws. Slowly the children started to gather their resources together and began to share ideas about what they could do. They discussed making bridges, castles and hair salons. There was an immensely productive atmosphere as the children began to work cohesively to build an awesome structure. Throughout the process the children would test it out balancing along the planks. If one plank was wobbly some children would come up with suggestions to help stabilise it. Eventually when the structure was complete all the children enjoyed exploring the maze of balancing bridges and logs for jumping that they had made. Older PostBarnes - Climbing tree!